Philadelphia, September 25, 2018 – Patients with venous thromboembolism (VTE) carry a high risk of recurrence. 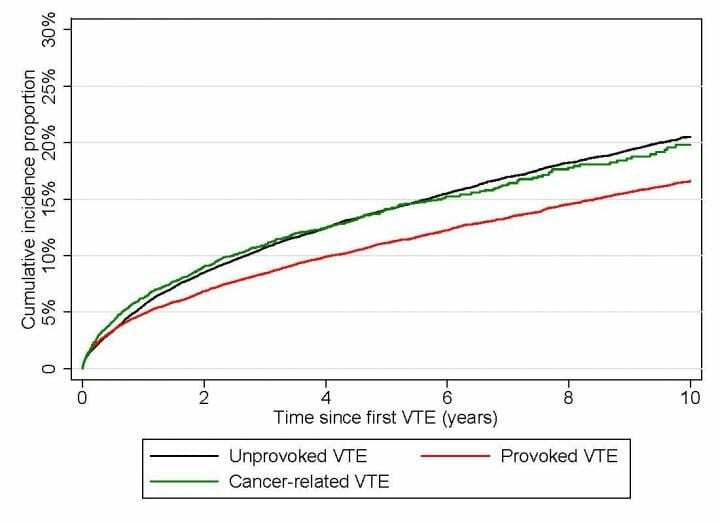 Accordingly, a 16-year Danish prospective cohort study of nearly 74,000 patients with incident VTE concluded that the risk of recurrence is substantial. Furthermore, the scientists found that the recurrence risk is similar for patients with cancer and patients with unprovoked VTE, reports The American Journal of Medicine.